New Smart Thermostat and Radiator Valve are geared towards apartment dwellers. It might sometimes seem that Nest has the smart thermostat market sewn up but that couldn't be further from the truth and tado° has just re-upped its range with a couple of new products. 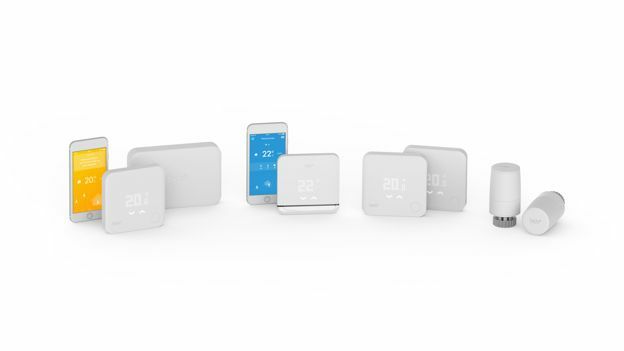 The new offerings are being brought to IFA 2015 by tado° with the aim of helping those living in shared accommodation to save money on heating and electricity by using an additional smart thermostat and smart radiator valve. The Additional Smart Thermostat lets you to control multiple heating zones individually within a home. It does this by controlling different floors or rooms that have under floor heating using a thermostat in each room. It then allows you to completely replace all those old wall mounted controllers around the home with the tado° app and the additional thermostats can be bought for £179 each or rented for £6.99 per month with shipping starting in November. The Smart Radiator Valve, meanwhile, replaces radiator thermostats and is particularly geared towards homes that don't have gas central heating. This allows existing tado° customers to separately control each room and anyone interested is encouraged to join the beta program on the tado° site with the product expected to come out in Q3 2016.
tado° has been in the smart thermostat game since 2012 when it released its first product and a geo-aware app that has been revolutionising the way people heat their homes. So far it looks to be a credible alternative to Nest.